Updated Monday June 25, 2018 by Shore Little League. 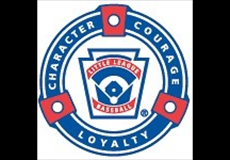 SHORE LITTLE LEAGUE is excited to be hosting part of the District 8 All Star tournament that begins on Saturday June 23 at 10am and runs throughout the week. The brackets will be updated daily by District 8. Please follow: www.va8ll.org for updated braket information.